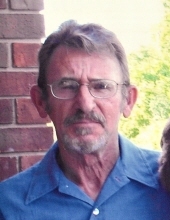 Russell W. Elliott, age 71 of Williamsburg, Ky., passed away Friday August 17, 2018 at his home. He was born July 11, 1947 in Rochester, New York to the late George Elliott and Delphine Jones Mailo. Along with his father he was preceded in death by his grandparents Emerson and Icie Jones. He is survived by his wife June Elliott of Williamsburg, Ky., 2 daughters; Angela McQueen (Jeff Prewitt) of Williamsburg, Ky., Anita Partin (Dewayne) of Williamsburg, Ky., 1 son; Jonathan Elliott of Corbin, Ky., 8 grandchildren; Anthony Thornberry, Alexander Thornberry, Adam Thornberry, Ricky Thornberry, Ryan Elliott, Connor Partin, Mason Partin and Alicyn Partin, 5 great grandchildren, his mother; Delphine Jones Mailo of Williamsburg, Ky., 2 sisters; Virginia Williams (Gary) of Florida, Beth Ann VanWinkle of Bergen, New York, 2 brothers; Allen Elliott (Fonnie) of Florence, Ky., Paul Tamblin of Joplin, Missouri, several nieces, nephews and a host of relatives and friends to mourn his passing. Funeral service will be 7:00 pm Thursday August 23, 2018 at Ellison Funeral Home Chapel with Rev. Albert Jones officiating. Visitation will be 5:00 pm until funeral hour Thursday August 23, 2018 at the funeral home. To send flowers or a remembrance gift to the family of Russell W. Elliott, please visit our Tribute Store. "Email Address" would like to share the life celebration of Russell W. Elliott. Click on the "link" to go to share a favorite memory or leave a condolence message for the family.